Scuderia Toro Rosso recently replaced Daniil Kvyat with Pierre Gasly, last year’s GP2 Series champion, stating that the former was taking a much-needed break. 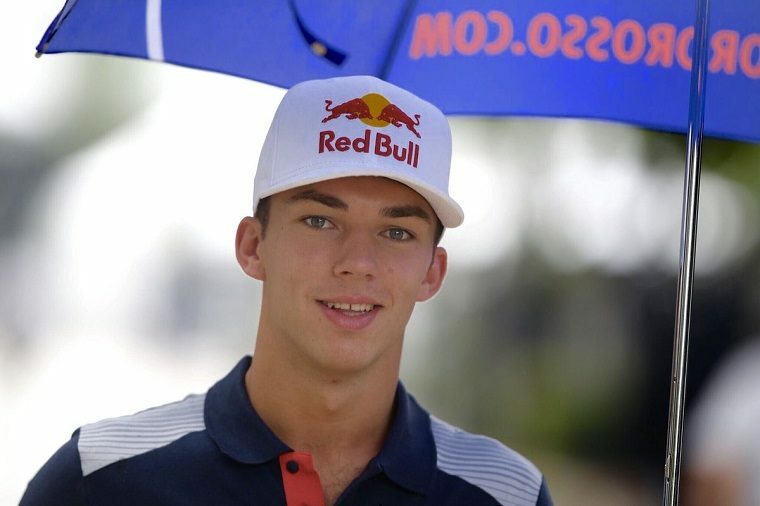 But it wasn’t clear whether Gasly would be able to race at the upcoming United States Grand Prix, as before replacing Kvyat he had been competing in the Super Formula championship, the final round of which will take place in Suzuka, Japan, at the same time as the US GP, preventing him from attending both. It seems, though, that a decision has been made, as Toro Rosso team principal Franz Tost is now looking for another driver to fill Gasly’s seat. You’ll note that the other driver can’t be Kvyat: he has already returned in the other car, having replaced Carlos Sainz Jr, who went off to Renault as part of a new engine deal between Honda and the two teams. Yes, it’s all very complicated. One might wonder why Toro Rosso didn’t simply hold on to Sainz for just one more round, which would have allowed Gasly to compete in the Super Formula finale and eliminated the need to find a fourth available driver. However, the rumor goes that Kvyat threatened to quit Formula One and Toro Rosso should he not get his seat back. Meanwhile, Renault was pushing hard to drive Jolyon Palmer out and get Sainz in, who could potentially bring the team valuable points in the closing stages of the championship. Because Kvyat was put on hiatus by Toro Rosso because of his poor on-track performances, you’d imagine he doesn’t have much leverage: but teams are contractually obliged to run two drivers and no more than four per season. With Sainz off to Renault, Toro Rosso couldn’t afford to also lose Kvyat and have to put two inexperienced drivers in their car. According to Motorsport, Brendon Hartley is the leading contender to drive for Toro Rosso at the United States Grand Prix. Hartley was formerly part of the Red Bull Junior Team and has enough Super License points to compete in Formula One; but he is also currently contracted to Porsche in the World Endurance Championship (WEC) and is purportedly in talks with Chip Ganassi for a 2018 IndyCar deal. If Toro Rosso and Hartley can’t successfully come to an arrangement, the team will look to Sebastian Buemi, who previously raced for the Red Bull Junior Team as well.